It is not so surprising to see the descendant of iRobot’s Roomba roaming the floor of a collaborative robotics showcase. 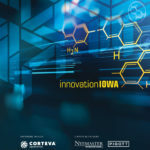 Yet the Autonomous Intelligent Vehicle (AIV) – and the seven other fixed, collaborative and mobile robots showcased by Omron on April 4 – show how far industrial robots are coming on the facility grounds. That sounds like a small adjustment, but in an industrial setting where humans and robots work to operate as efficiently as clockwork, the humans are seeking much more path control than an early Roomba ever gave. Omron has acquired five companies over the past four years as it builds up its robotics division. Based in Japan, it is distributed by Ramco Innovations in Iowa and Nebraska. 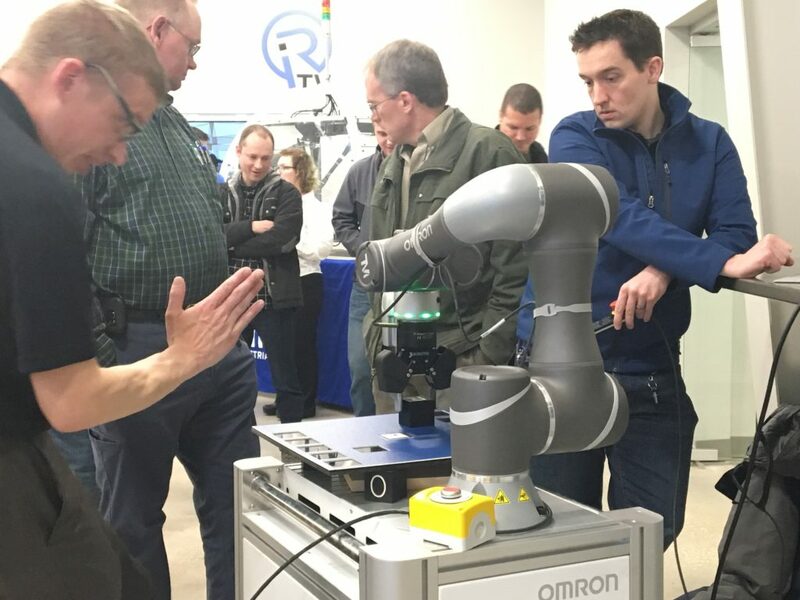 Omron’s showcase last week highlighted the mobile, fixed and collaborative robotics working their way into industrial facility floors over the last few years. Ramco Innovation’s open house was the first showcase by the company for clients, Ramco CEO Hank Norem said. Across the room, an Omron representative showed visitors how to program the six-axis ‘cobot’ arm, sitting on a mobile cart, to follow a task map. Only two of the six robot units on display, both fixed robots, are enclosed in safety cages. “It is designed to comply with .. a collaborative safety code, to be able to work in the proximity of or in conjunction with a person without safeguards,” Frommelt said. That means when a cobot bumps into its human colleague, it shuts down, said Joe Stoltz, business development manager for Omron. “We give you the mobility part, and then you as an [original equipment manufacturer] come up with what you want to do with it,” he added.